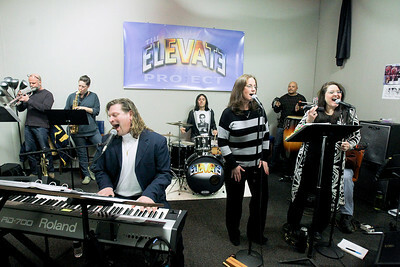 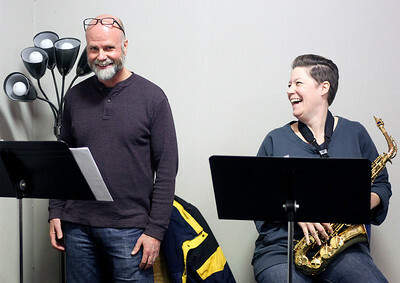 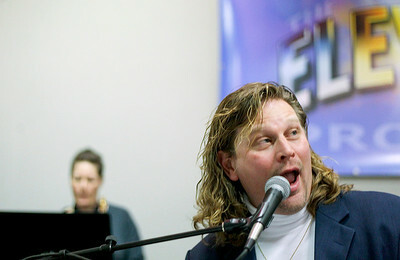 John Tuck (left) of Hoffman Estates and his wife, Christine, rehearse with The Elevated Project in Woodstock Sunday, March 16, 2014 for their upcoming event, "Whispers of Love" at the Listening Room at the Lakeside Legacy Arts Park in Crystal Lake Saturday, March 22. 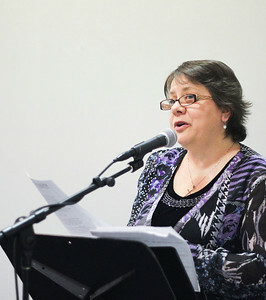 The event will celebrate the releases of "Whispers of Love," the first book of poetry by team member Diana Floress. 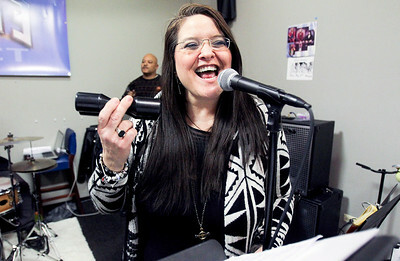 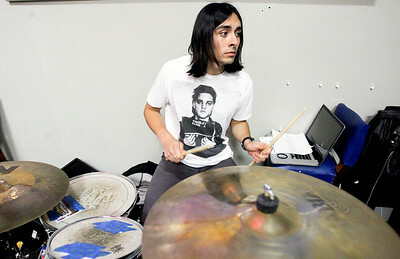 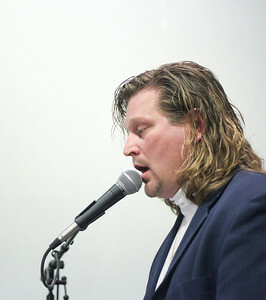 Readings from the book will be woven together by music and a percentage of the profits will be donated to the Alexander Leigh Center for Autism.